Cats are creatures of routine that are usually strongly bonded to their territory. Most of them do not cope well with their routine being broken and being taken away from their territory. Travels are such events when all this happens. No wonder, traveling is not most cats’ cup of tea. 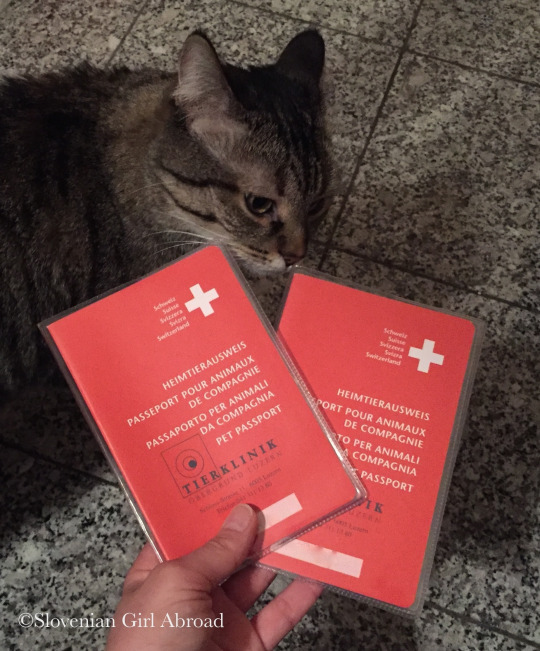 But, there are exceptions, like my cats Živa and Lili who regularly travel with me from my home in Switzerland to my parents’ home in Slovenia. Despite traveling is not their favourite activity, they tollerate it. Wondering how we manage to achieve our cats tolerate car travel? When they were kittens, we’ve captured a brief period when they were open to becoming accustomed to new experiences and took them on the road with us for the first time. They become accustomed to the new sights, sounds and movement of the car. They accept the car travel as a part of their routine. Why we decided to take our two cats to 9-10 hour car drive at the first place? My husband and I went to visit our parents in Slovenia for Christmas holidays. 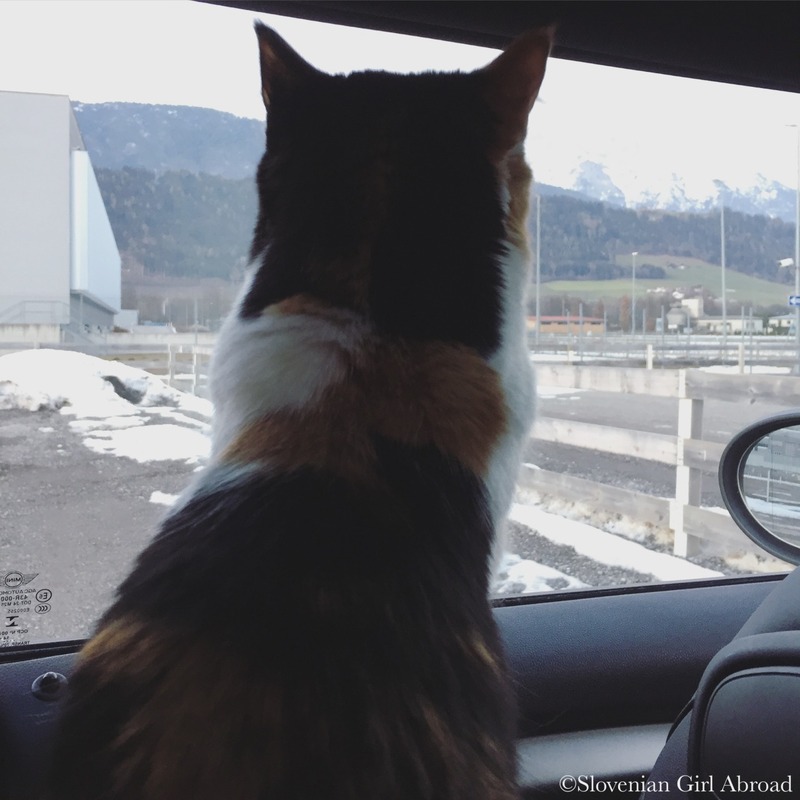 Because we really didn’t want to leave our kitties all alone in Switzerland for 14 days, we took them with us to Slovenia. Now, when we’re going to Slovenia for a longer period (i.e. 5 days or more), we always take them with. 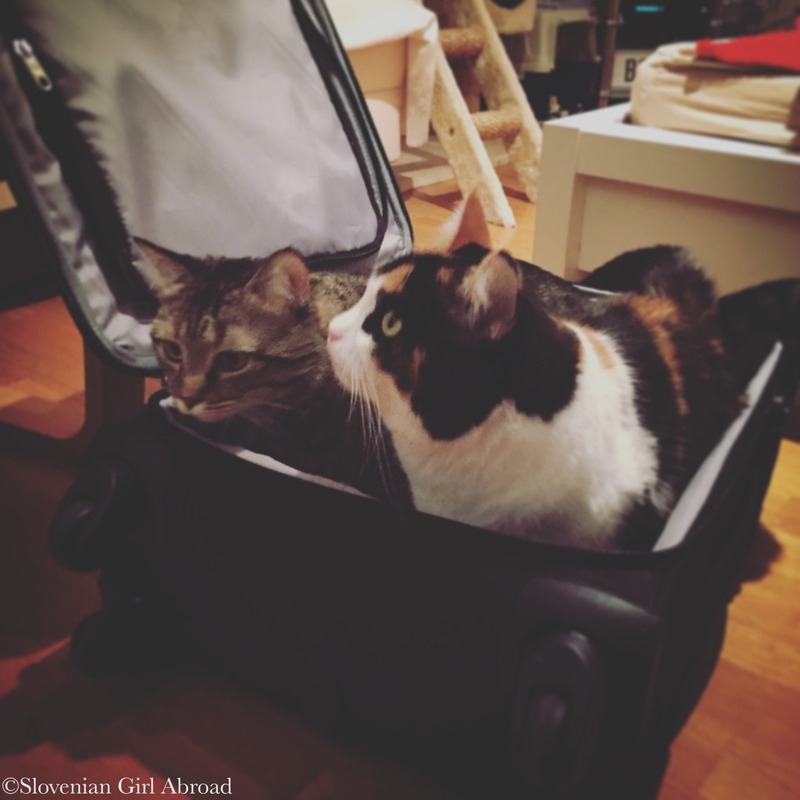 For shorter periods and our trips to other destinations, we still get them a cat sitter. Plan your journey in advance! Get the information about the rules for entering the country you want to travel to with your pet. Different rules apply for most of the countries, so you make sure you follow them in order to avoid unnecessary stress for you and your cat. When traveling inside the European Union is one of the most important things to do to get a passport and microchip for your cat. You can get them by your vet that will also check your cat’s health and do all the needed vaccinations. Make sure you visit vet well in advance as the cats needs to be microchipped before being vaccinated against rabies. Also, beware the vaccination against the rabies needs to be done at least 21 days before traveling. Invest in the quality carrier that will keep your cat safe during the drive. Make sure it is roomy and well ventilated. It must allow your cat to sit and stand up at full height, turn around easily and lie down in a natural position. What to do to make your cat’s journeys safe, comfortable and less stressful? Make sure you have fulfilled all the legal requirements of taking your pet abroad! On the day of the travel, feed your cat a smaller portion of food. Your pet will travel better if she/he won’t have a full stomach. Bring your cat’s regular food ✱ (i.e. favourite food) andwater. Your pet should always have access to water during your trip. When placing the carrier in the car, make sure it is properly secured and is not positioned in direct sunlight for long periods. Bring along some of the cat’s comforts of home (i.e. their toys & bedding with the scent of their home). Don’t forget the litter box. You probably won’t bring your cat’s regular litter box as it would be too big, but whatever box you’ll use, fill it with the brand of litter that you use at home. We use the improvised travel litter box -a box in which we put plastic trash bag filled with litter. Plastic bag can bind and prevent litter to spill during the ride. When cats need to go to the toilet, we simply unbind and unwrap the bag and put cats in the box. After our cats do what they need to do, we clean up the lumps in disposable bags and throw them away. Take things easy with plenty of rest stops. Plan to stop every couple of hours to give your cat a break. When you stop, make sure you park your car in the shade. Never leave your animal in a car on a warm or hot day. This can cause distress and suffering, and can lead to the death of your cat! If you’re in a safe location, you can let your cat out of the carrier, but be careful! Always make sure that all windows and doors are firmly closed and locked, whilst your cat is out of its carrier, to prevent him/her from escaping. Also make sure that there are no holes where the cat could try to hide and escape. On one of our first journeys it happened, Živa found a passage from the passenger cabin to the trunk through she squeezed and we were only able to get her through open trunk. Luckily, we manage to get her without a problem, but if she would react more fiercely and would try to escape, I couldn’t imagine how would we get her back to the car. 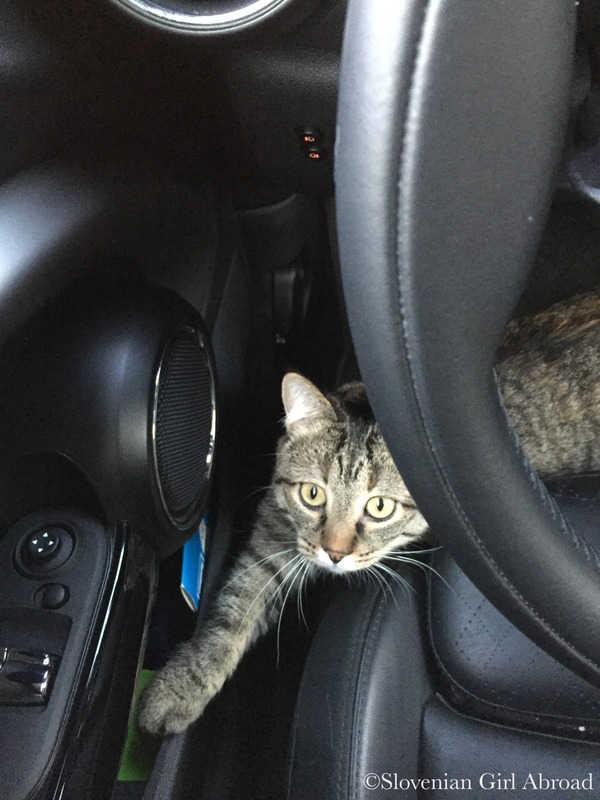 For sure, your cat will protest when being put into the car at least for a bit. Despite it could be tempting to increase the volume of the music to drown meowing, don’t do it. Cats hear much better than the humans and the loud music will stress them even more. Do you have any pets? Do you take them with on your travels? What are your experiences? Do you have tips for traveling with pets? Good to hear you take them with you! 🙂 Our bestia visits Slovenia with us as well. The only problem is that he really likes to squeeze himself between us instead of just chilling in the back seat, that’s why we got him a dog security belt. So far (short distances), so good. How can I not like this post! Look at all the cat pictures 🙂 So cute! We’ve come across a number of full time travellers in motorhomes with cats, as well as dogs. They are all allowed to wander around wherever their owners’ motorhomes are pitched and seem to come back. Amazing how adaptable they are. Such beautiful cats! 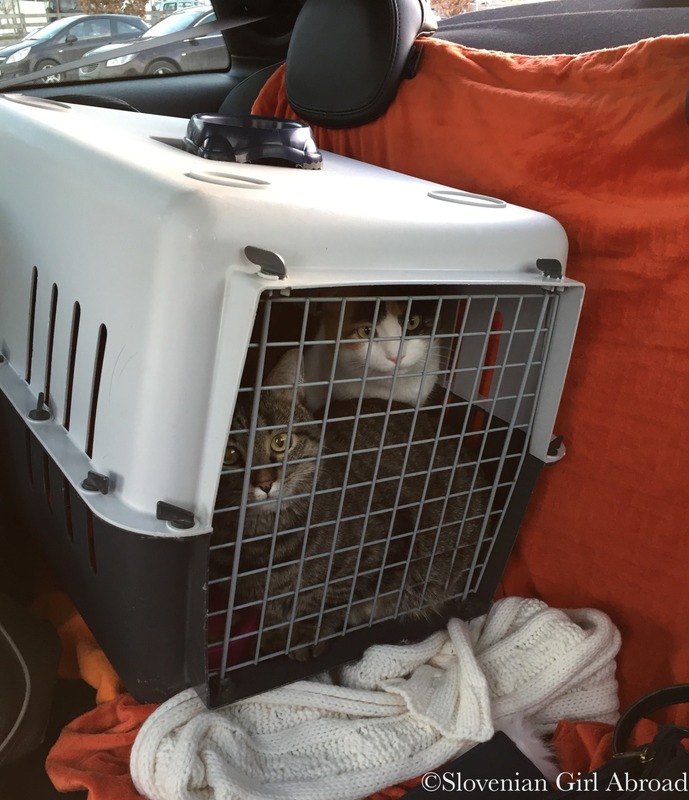 Our cats hated the car, but they knew it always meant the vet or the cattery. What a nice post to read. I travel from Canberra to Sydney in Australia with my two dogs. It’s just over a two hour drive and they love the car. My parents usually cat-sit our cat when we go on a trip. Cats are much more adaptable then we think. We had several cats who would join us for holidays. They behaved like dogs, even going out in the garden without escaping. Re. you thinking taking your cat on holidays, I would say, it depends on your cat’s character. It might be ok, but it might cause a lot of stress to your cat (and consequently to yourself). Some cats cope with the changes better than the others. Just looking at mine two, they are so different. Živa is so adaptable I can easily imagine taking her everywhere with, while Lili needs quite some time to accept the new environment. How old is your cat? Great tips, by the way! My last two cats hated to travel. They saw the carrier and knew a trip to the vet was coming up. That’s great that you’ve managed to get your cats to tolerate the car. Great idea for a post too!